Morrison's new GREEN LANTERN run - does it have the "Right Stuff" to make a movie? Although the 2011 GREEN LANTERN movie is widely considered an utter disaster (so much so that even Ryan Reynolds himself made fun of it in Deadpool 2), it's been pretty much a given that Geoff Johns would be taking the Green Lantern script with him when he exited his role as a DC exec and hung out his shingle on the Warner Brothers lot. After all, it was Johns who revitalized the story of Hal Jordan and the Green Lantern Corps in the 2000's, making them central to the narrative in the New 52 universe, and promising fanboys a glimpse of the giant, imaginative space opera that the GL Corps always represented. The character's always been a clear favorite of Johns, so nobody is surprised to hear that he's working on a GL script. But Deadline Hollywood running an interview with Grant Morrison, and a preview of the latest issues of Morrison's most recent revamped GREEN LANTERN run? Who thought we would see that? 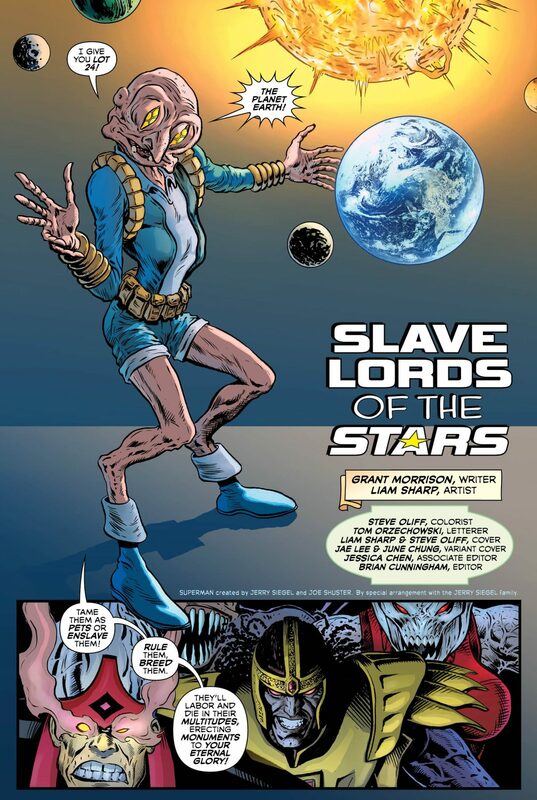 Yet here it is, including four pages from the latest issue by Morrison and artist Liam Sharp. 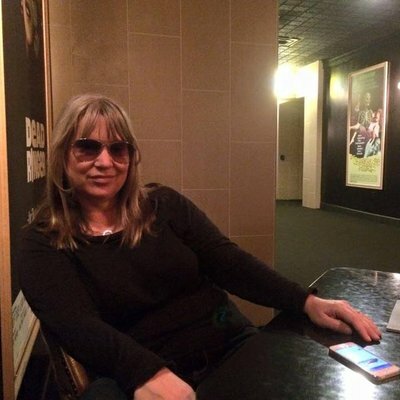 "For me it was always going back to the beginning and the creators of the thing, Gardner Fox and John Broome, and the stories they did back in the 1960s. Especially John Broome, who kind of stuck with the character through that whole time and was himself a beatnik, I’ve always thought. I wanted to go back to his basic idea of Hal Jordan, who is someone he always saw as a guy who had his mind blown by being inducted into the Green Lantern Corps, this kind of universal police force. So he wrote him as kind of a humorless spaceman who has come back from the moon or orbit and kind of doesn’t quite understand the world anymore. I found that fascinating. He wrote Hal Jordan as a guy that doesn’t really hold a job or relate to things in the same way he did before he was taken away by this peak experience that changes his view of everything." Morrison's Hal Jordan sounds AWFULLY close to the version of Captain Marvel we're about to see in the upcoming CAPTAIN MARVEL movie (test pilot goes to space, comes back changed and "alien"-ated in more ways than one). But one thing you can always count on: Grant Morrison will play with the big ideas inherent in whatever concept he's working with. In this case, he's painting on a super cosmic, broad canvas, and nailing the imaginative feel of 60's science fiction as well. And, THANK GOD, he's not at all interested in revisiting the "evil Hal" storylines of the 90s, because NOBODY wants that, least of all Warner Brothers. 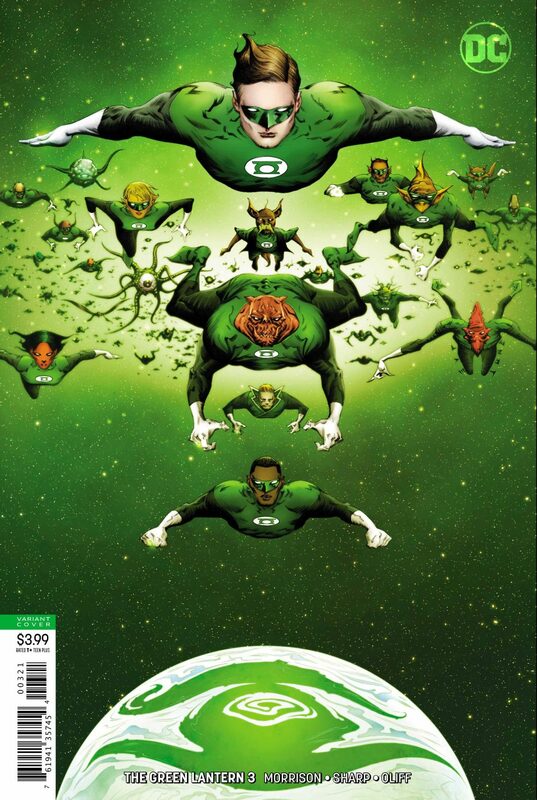 Also, just judging from this art, Jon Stewart is up in this joint, along with the rest of the GL corps! The promise of 2011's GREEN LANTERN movie was in the hint that we were going to get a sequel that really went crazy with the GL Corps and Oa. I think Johns won't be able to resist tying that in somehow (which plays to his strength as a writer, he really knows how to hit those fanboy nostalgia marks and tie it in with continuity). That, coupled with Morrison's wild imagination and big ideas, may mean this is shaping up to be a... good movie? And with Aquaman doing so well at the box office, hopefully the powers that be will have the confidence to let the creative team do their thing and make the big, splashy space opera that GREEN LANTERN wants to be. The same way Taiko Waititi borrowed havily from PLANET HULK to make THOR: RAGNAROK, Morrison's run has the potential to be that for GREEN LANTERN. What do you think, talkbackers? Are you ready to give Hal Jordan another chance to project something into your brain?